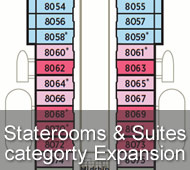 The 50,000-ton, 940-guest Crystal Symphony is one of the most spacious and luxurious cruise ships at sea. On-board the Symphony the amenities include grand lounges, a full-service fitness facility, a Crystal Casino at Sea, a lavish spa, expansive decks, two pools, award-winning cuisine and entertainment, 100% ocean view (more then half with verandahs) staterooms, exquisitely-appointed with luxurious amenities. The refined elegance on board the Crystal Symphony is distinguished by classic service, abundant space, superior quality and extensive choices, providing worldwide vacations that bridge the best of land and sea. 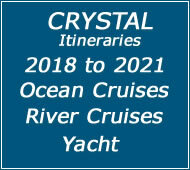 Crystal Cruises has been voted World's Best more than any other cruise line, hotel or resort in history. 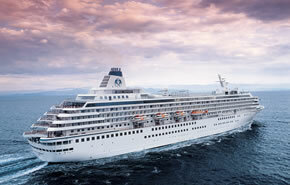 The Crystal Symphony was launched in 1995. 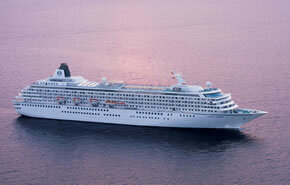 Through the years Crystal Cruises invested millions to keep the ship in outstanding condition. 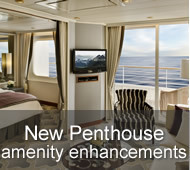 Recently (October 2009) spending over 27 millions in renovations for a dramatic new look. 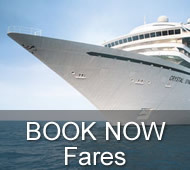 On board the Crystal Symphony you will become engulfed in widespread activities. The crew on board the Symphony will broaden your imagination with endless possibilities. 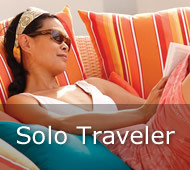 Enjoy a dance lesson that will jazz up your two-step, relax your body and mind in The Crystal Spa or even spending the day snuggled up with the book of your choice. The simple elegant and unpretentious atmosphere on board the Crystal Symphony give you many options for you to choose from. The award winning cuisine on board the Crystal Symphony is the finest at sea. Crystal Cruises hand-selected team of chefs respects three essential principles: the highest-quality ingredients, classical French preparation, and abiding passion for their craft. The Chefs, Sauciers, Patissiers and other specialists also relish the inspiration of foreign cultures and ingredients they encounter during their ceaseless voyaging. It is this spark of international creativity - the Crystal touch - that turns a fine dish into a masterpiece. As the sun sets evening activities offer a wide range of rich possibilities. Enjoy a cocktail with friends, before dinner. Take in a Broadway performance after dinner. The entertainment aboard the Crystal Symphony is the finest and most varied at sea, a spellbinding series of performances to suit every taste, satisfy every mood.